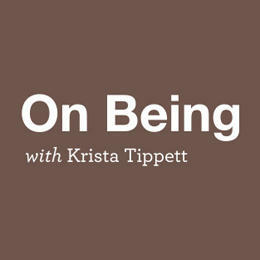 On Being is a Peabody Award-winning public radio conversation. On Being opens up the animating questions at the center of human life: What does it mean to be human, and how do we want to live? On Being explores these questions in their richness and complexity in 21st-century lives and endeavors. On Being pursues wisdom and moral imagination as much as knowledge; esteeming nuance and poetry as much as fact.